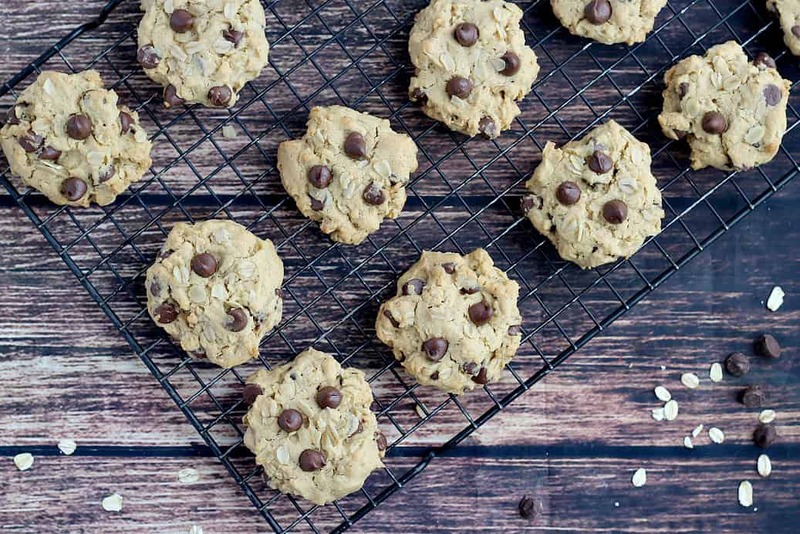 These Oat & Peanut Butter Chocolate Chip Cookies might just become your new go-to cookie recipe! Who doesn’t love a good cookie? We sure do around here! We’re not even that picky, we love them all! But these Oat & Peanut Butter Chocolate Chip Cookies are definitely one of our all-time favorites! They are full of classic peanut butter and chocolate flavors. The oats give them texture while adding some whole grain goodness to the mix as well! If you try them, you are sure to love them! A lot of my inspiration as of late has come from recipe or meals that I love but that I haven’t had in a really long time. 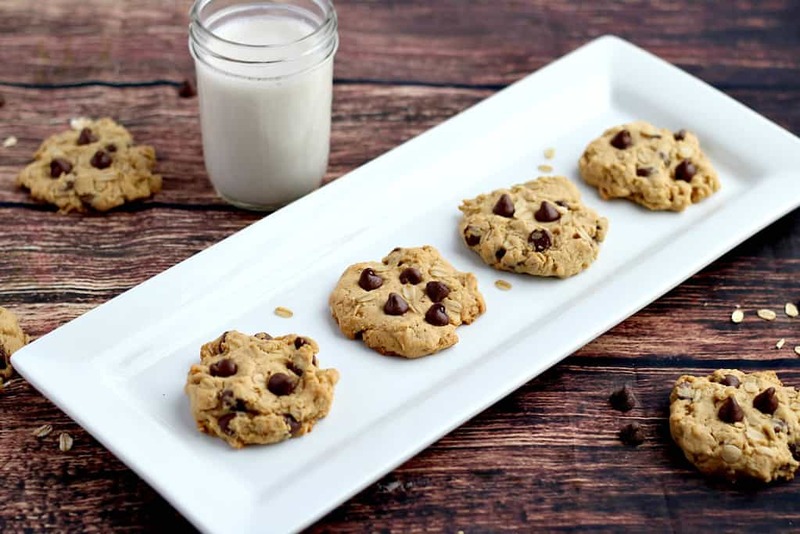 My version of these Oat & Peanut Butter Chocolate Chip Cookies is inspired by a cookie recipe I used to make when my now 9-year-old was just a toddler. It’s really been that long since I’ve made anything like them! I lost that recipe, but remembered the main ingredients. After a little trial and error, these are as close to perfection as I can imagine! Preheat your oven to 350°F. 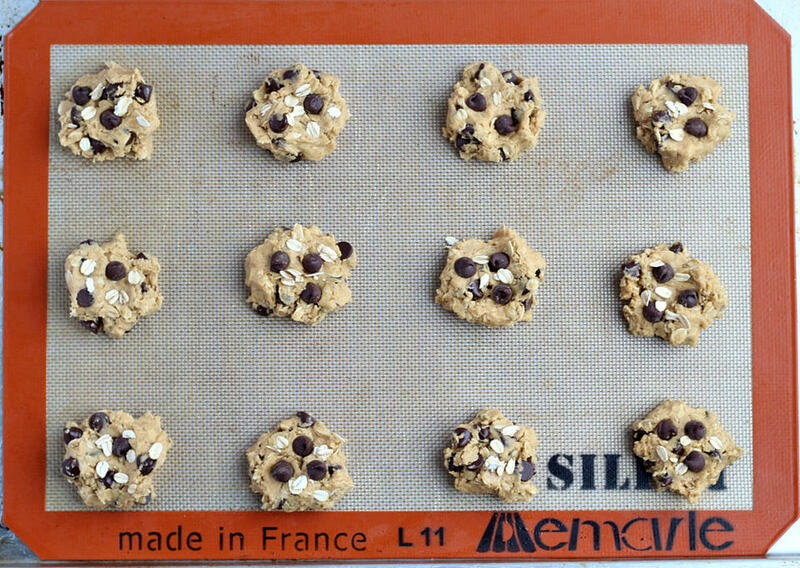 Line a baking sheet with a Silpat mat, if desired. Set up your electric mixture. You will also need a small mixing bowl, measuring cups, measuring spoons, a spatula, and all the ingredients. 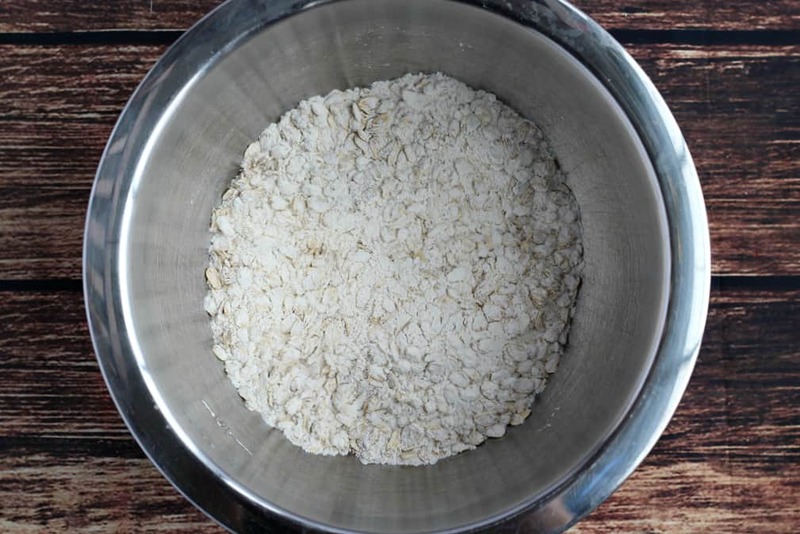 Combine the flour, rolled oats, baking soda, baking powder, and salt in a small bowl, set aside. 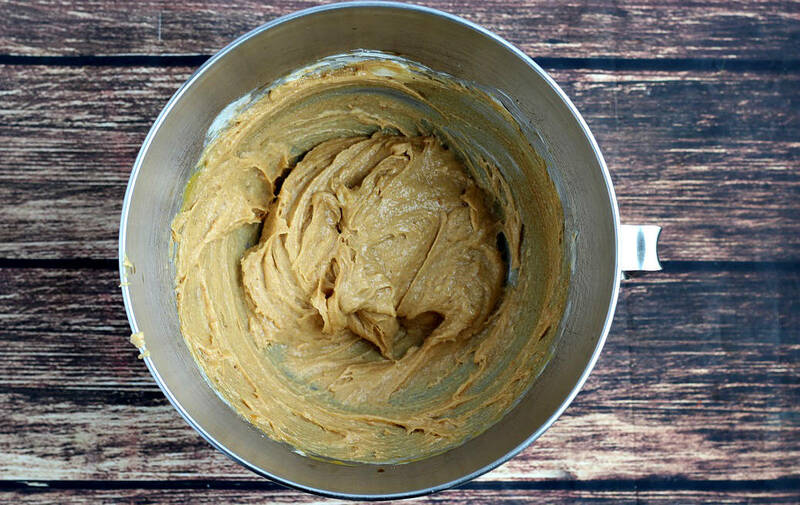 In the bowl of an electric mixer, add the sugar, brown sugar, butter, and peanut butter. Beat on medium until smooth. Add the egg and vanilla extract. Gradually add the dry ingredients to the wet until everything is well combined. Stir in the chocolate chips with a spoon or spatula. 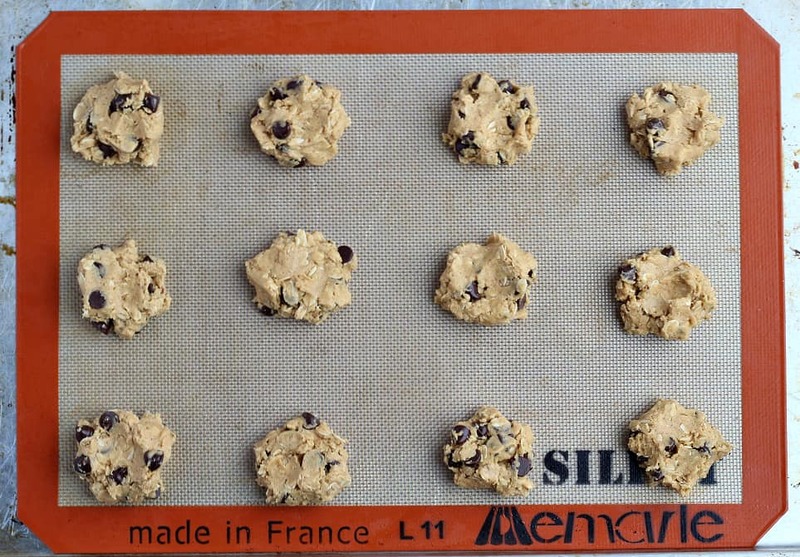 Drop by the spoon full onto a baking sheet. Flatten slightly as these cookies do not spread much when baking. 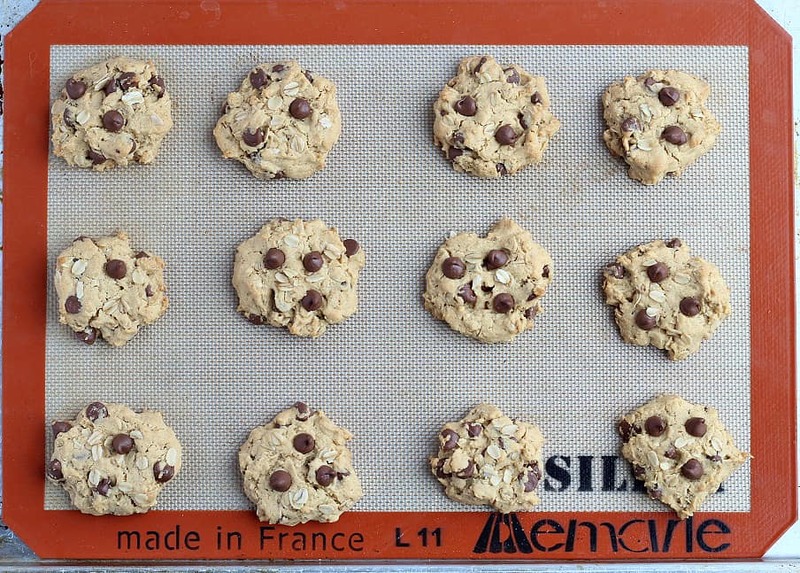 Press some extra chips and oats into the tops of each cookie before baking, if desired. Bake for 12-15 minutes until the bottoms are light brown and they are cooked through. Let cool for 5 minutes before removing from the baking sheet. To give your cookies a more “professional” appearance, you can add some extra chocolate chips and rolled oats to the tops before baking! Set out on a pretty plate or serving tray and don’t forget the milk! I hope that these Oat & Peanut Butter Chocolate Chip Cookies are soon to become one of your favorites as well! Gradually add the dry ingredients to the wet until everything is well combined. Stir in the chocolate chips with a spoon or spatula. Drop by the spoon full onto a baking sheet. Flatten slightly as these cookies do not spread much when baking. Add extra chips and oats to the tops before baking, if desired. Bake for 12-15 minutes until the bottoms are light brown and they are cooked through. Let cool for 5 minutes before removing from the baking sheet. 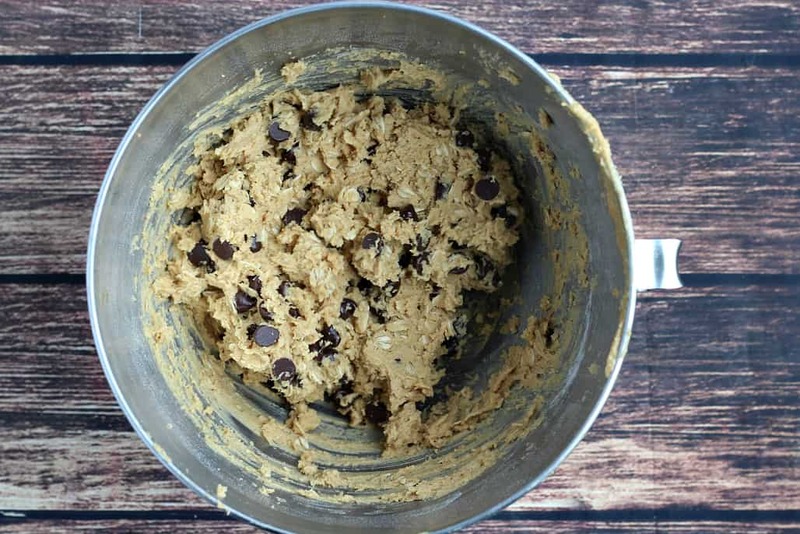 So many things to love about this cookie– the peanut butter, the chocolate, and the oats all seem to come together in a beautiful little bite! 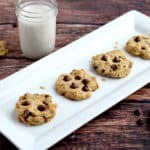 I’ve been craving chocolate chip cookies – these look delicious with the oats and peanut butter added in! I love trying out different cookie combinations! These look so tasty, my little boy would love them! I love to make cookies and have them for the kids when they get home. Occasionally I double the batch so I can freeze some, have you tried freezing these to see how they are? I bet they are still delicious! 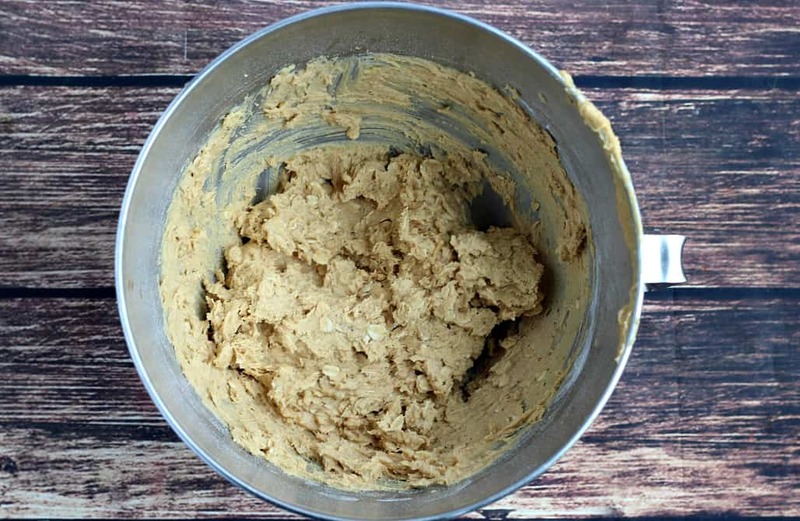 I love a good cookie recipe and this combination makes it even better! Thanks for sharing. an’t go wrong with PB and chocolate really!